This extension contains a tasks for integration with Kudu. 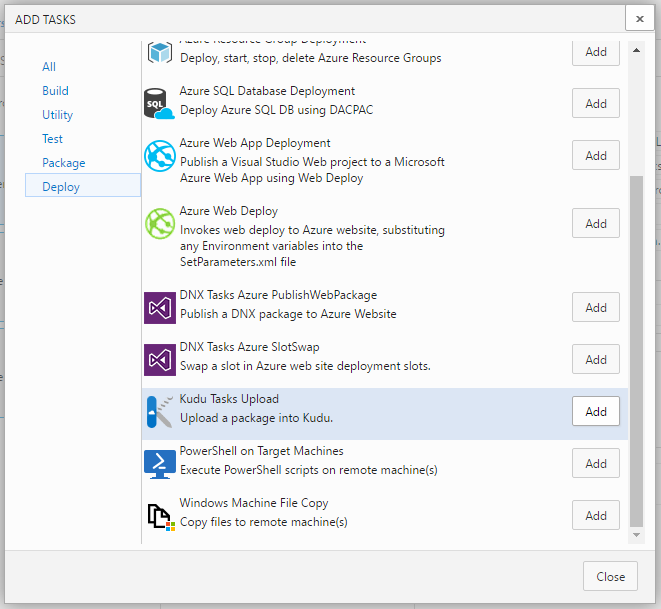 Kudu is the engine behind git/hg deployments, WebJobs, and various other features in Azure Web Sites. Note: These tasks are neither developed nor endorsed by creators of Kudu. Then you need to add task into your build or release definition.